Here's a quick overview video of the new CAME-TV Mini 3. This is the third version of this little gimbal. The first CAME-MINI required tools to balance your camera, while the MINI-2 was very similar in build to the original version with the exception of tool-less adjustments. The new MINI-3 Gimbal has been completely redesigned, but keep note that it is still geared towards carrying a similar sized camera and payload as the other CAME-MINI systems. The most important performance difference is this new model finally has Encoder Hardware built in. Encoders have made a huge difference in how SBGC gimbals operate, and it's something I highly suggest looking for when shopping for one. You should have more stability as well as longer more efficient battery life. The new top handle can be removed from the gimbal frame and sectioned into 3 pieces (similar to ARGO design). Since the battery is now mounted behind the camera (not inside the top handle like MINI/MINI2), the Mini-3 Gimbal frame can be used without the top handle. In fact CAME-TV is advertising a version that can be mounted under a Drone and comes with a special vibration mount adapter called the MINI-3-AIR (seen here). 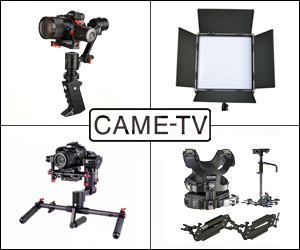 Similar to CAME-TV's ARGO Gimbal, the CAME-MINI 3 comes with a wireless joystick, gimbal stand, Hardcase, Battery, Charger, Built in 5.8Ghz Wireless Video Transmitter (SD), and a few other accessories. Inverted mode is done by rotating the handles over the side (not over the top like Ronin). It should automatically detect the inversion, so there's no need to power the system Off and restarting the system inverted. This makes it much faster when changing your shots from low mode to eye level tracking shots. So for those who are wondering if this CAME-MINI 3 gimbal will be suitable for you, I would highly recommend you get familiar with the types of cameras and lens combinations people are having success with. You can see many of those examples of CAME-MINI gimbal videos submitted by customers (found here). Posted in dslr video. Tags: came-mini, came-mini 2, came-tv argo, came-tv came-mini 3, drone gimbal, mini 3 gimbal, sbgc gimbal encoders, sbgc tuning, Stabilizer on March 27, 2016 by Cheesycam. @Josh M - To say it will be used for a GH4 is not always enough info. People seem to want to throw lens adapters and Full Frame lenses on these little cameras, and that doesn't work for the small gimbals. Exactly what type of lenses do you plan to fly? 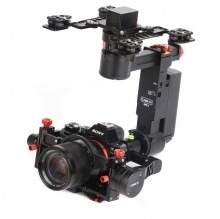 If you're using full frame lenses, it would be better to go with a gimbal the size of the ARGO or DJI Ronin-M. So I'm thinking of retiring the Single and purchasing the Mini3 for my GH4s. As you know I didn't have successful results with the Single. Would you recommend the Mini 3 as a more reliable upgrade from the Single? On top of my corporate work we've now started shooting higher end real estate and wondered if I could get simple movement shots on the interiors with this, more so than the Single. Your blog and input is greatly appreciated. Thanks! @emm Appreciate the reply and that some people lose their original settings. That video will be useful. I chose the mini 3 because it is specifically designed, weighted and calibrated for the Gh4 & Sony a7 series cameras and was one of the first gimbals to include encoded motors. You would expect the motors to be calibrated perfectly as a factory preset for such specific size cameras. I do hope you get the time to look at some PID settings for a Gh4/7-14mm set up. @Jon Lindsay - Yes sometimes re-calibrating the encoders will help smooth some of those jitters out. I've been planning to do a video about how to do this, just haven't had the time. It's mainly going to be a video about 'restoring' from scratch, as many people seem to mess up their settings without even making an original backup. But it will include calibrating encoders. Great size gimbal but I hear the pain in the other comments about the side to side micro jitters. I've made and flown many gimbals since they came out several years ago but this is one I can't get to fly smoothly - it feels very mechanical. I hope there's a fix and it becomes the best I've ever flown! @emm I would appreciate if you could look at some PID settings for a GH4 and 7-14mm lens, which I know is one of your set ups. I've tried tweaking them for a week now with no luck. I've just digitized footage from a job I did today and there's a bad wobble throughout the footage I've got a feeling this is to do with the encoders trying to realign the motors. I even get the side to side shake when the the YAW is disabled. I appreciate you don't work for Came but you may be able to help with the PID settings. @henry - Sorry was traveling for a few days. Did you get a response from CAME-TV about this? I don't have a base profile for this gimbal yet. Hi Emm, My came mini 3 is acting erractic since today. i want to connect it to simpleBGC software and load a base profile to start from scratch and try fix it. i saw you do a tutorial for doing the same thing with the came single using a base profile. can you point me in the right direction for 're-setting' my mini 3. is there a base profile out there to restore it? thanks in advance for any help! this link doesnt work anymore, ive contacted help but no response yet. my single simply wont charge or turn on. Do you happen to know what channels are used for the wireless transmitter? I bought a 5.8 G elvid skyvision monitor receiver and I can't figure out the frequency channels. @Pete - Could be a little practice and a little tuning. If you're familiar with SBGC you could try turning down the Motor Power for the YAW (if it is side to side movement), and sometimes lowering the PID on YAW. But be very careful on what you change. With encoders certain settings should not be changed, and certain buttons should not even be clicked. Just motor power and PID would be a good start as I think your setup is a bit light. Emm - Have this fully setup with a GH4 Rokinon 12mm and am really impressed so far. The only issue I can't seem to work through is slight side to side vibration while I am walking that just barely takes the smoothness out of it. I'm almost certain I have it balanced properly. Is this user error? Do I need to become more proficient at walking with the gimbal, or is this an obvious solution I am missing? Thanks a ton. @Sidd - Yes you can. It's the same gimbal but with a vibration mount. Do you know if the Came Mini 3 can be converted into the Air version by purchasing the vibration mount? 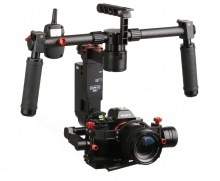 The price seems similar to the DJI Ronin-M. I cannot discern the advantage of the CAME over the DJI? 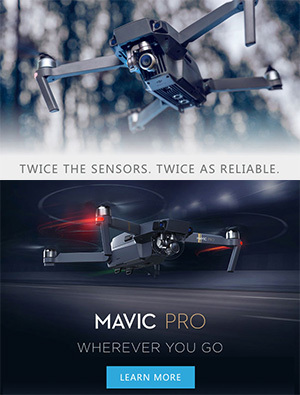 Isn't the Ronin-M a safer buy considering DJI's reputation? @Noah - It's going to carry similar weight as the Mini2. Should be around 2lbs or so. So your application won't work. Check out examples of what people are using on the Mini2 to get an idea of what could work. Hi @emm, I'm looking on their website and I can't find the specifications. Am I missing something. We want to use it with a Gh4 and a anamorphique lens so we would need it to carry at least 1.5Kg. Do you think that would work? 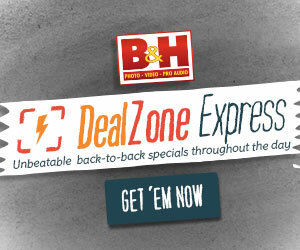 @Emm - thanks for the tip and link a/b resetting the board. My battery connection was soldered onto the board - so I clipped the power wire to cut off the battery, and then soldered it back up and the gimbal is working again! Emm - quick question - on my Came-Single, the power button is lit solid red and it won't turn on. Any idea as to why this is? Thanks for answering my question! one more, This or Came single for weddings? Well it looks like came-TV is coming along fast with there Gimbals. Not crazy about there support though with the one I had. I sent mine back and purchased an Allsteady 5, it worked good with my GH3-12-35 lens, But was too heavy and cumbersome to set up and carry around. I have now got the Beholder DS-1 single hand held, I love it! I use a Sony RX-10M2 with it. 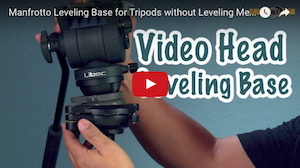 Small, easy to use and very little fatigue as compared to the Two handed gimbals. at $700.00 and comes with a second set of batteries, nice small carry case, hard to beat for me. Might not be for everyone, If I have problems in the coming years with my DS-1 I will take a good hard look at Came-TV, as it seems they are committed to improving there products. The mini-3 seems pretty nice. @Hoang - No. If you have to use a lens adapter then I don't suggest using this gimbal. You need something larger. Take a look at what other people are using. Hi, would GH4 + Sigma 18-35 is working fine with this gimbal? @seenematic - I think the Ronin-M is a great gimbal, but you'd be surprised at how many people have had to send theirs in for repairs. It's not a perfect gimbal, and not as robust as their larger Ronin system. @Justin - The big difference is the size. Major major size difference. The Mini 3 can only support a small camera setup. The ARGO will support larger setups like a Canon DSLR, or A7sII with a Metabones lens adapter. @David - If you are using a GH4 with 7-14mm this gimbal will work perfectly. That's a very light setup. As for replacing a slider, it's hard to get the exact same movements as a slider, but you will get smooth moves from a gimbal. Maybe not a replacement, but another option for getting dynamic moves. When I try to replicate a slider, I'll use a higher framerate, move a gimbal slowly, and then slow it down in post. @Chris - I haven't tested it as I don't have any receivers, but it's basically the same type of transmitter used for FPV flying (drones). So there's a bunch of different 5.8Ghz monitors out there. You turn on the transmitter, select a channel, and do the same on the monitor until you get a picture. It's not HD, so resolution isn't great, but is enough for framing a shot. Hey @emm I was hoping to learn more about the 5.8 video transmitter on the bottom. Do you have any plans to cover that at a later time? For weddings would you recommend this or came single? also can this replace my slider? gh4 7-14mm Thanks man! 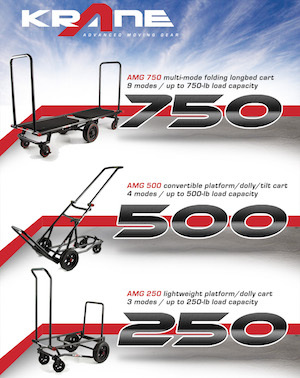 So what are the big differences between this and the Argo? On the fence between the two. Considering that this is only a tiny bit cheaper than the Ronin M (the Ronin's price includes worldwide shipping without any import taxes added), why would anyone buy something from Came ? As you said encoders are a big plus, as it allow the gimbal to be (and stay) perfectly leveled ... You'll be able to use it as you switch it on, that's not the case of non-encoders gimbals, on my point-of-view. Will this gimbal support a GH4 with metabones speedbooster and tokina 11-16? If not whats the cheapest good gimbal for the setup. Hey Emm, what would you recommend and why for weddings GH4 with 7-14mm. This or the Came single? I would also like the convenience of putting it on a mono pod or Tripod. Also do you think this can replace my slider? Thanks man! what is the maximum camera set-up you think this can handle. A7s II + 24_70 f2.8 zoom? I am new to the gimbal stuff. Seems like the Encoder Hardware being built in is a really great feature to look for. How does one know if Encoder Hardware is built in on the different gimbals out in the market? Or is there a resource that shows a list of gimbals offering this feature? I wanted to compare the different offerings out there.